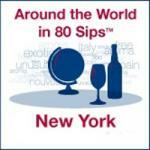 After a successful round of sips in LA and other places throughout the country earlier in the year Bottlenotes is headed to New York City for the annual 80 Sips Tasting to be held at the Altman Building at 135 W 18th St. from 7-9pm. Don’t get too excited – it’s not as scandalous as it sounds. Each visitor to the Austrian wines table will have the opportunity to retrieve a free Austrian wines pin to be worn where ever he/she chooses. We’ll snap your photo and person (or people) with the best photo will be featured in the following Bottlenotes’ email blast sponsored by Austrian Wine! Don’t worry, the rest of the pictures will be posted on our Facebook page for all to enjoy. As an extra added bonus, Bottlenotes has provided us with our own discount code – just for Austrian wine fans! Type in Austria25 at check-out to receive $25 off the ticket price. Buy tickets here. So where would you stick it to show your support for Austrian wine? We hope to see you there!